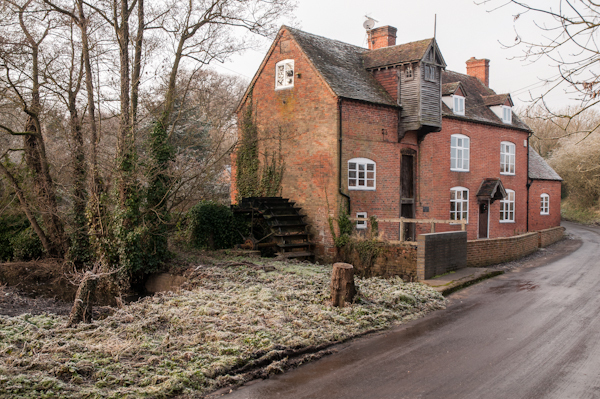 Henwood Mill, Barston, Solihull was constructed in the 18th century and altered in the 19th. It is a Grade II listed building and has since been converted into a private house. The feeder leat was cut from the River Blythe which crosses Henwood Lane by way of a ford just below the mill. This entry was posted in Industrial architecture by admin. Bookmark the permalink. Nice to see another mill appearing on your site. I posted a comment about your Hambledon Mill picture some time ago. It’s good to see that you’re seeking out these hidden treasures and showing them in such an expert manner. I wonder just how many people pass this mill and don’t give it a second thought. Most people, i shouldn’t wonder. One of my son’s has just taken up photography. He’s in the film business in America, which might sound exciting, but he’s in such demand he’s always being pursued by someone or other. I told him: get away, or get a hobby! Well, having finally purchased a camera, he goes off every so often to explore the country and take some shots. He has found a particular enjoyment in photographing rivers and river banks, and told me it’s his way of repaying himself for the debt of stress (or something similar!). He has visited your site and finds the canal pictures most relaxing. I recently suggested he starts a course in photography, just to get a grounding in the subject. It’s certainly paid off in your case.